The Boxtrolls Blu-ray + DVD Just $8.99! You are here: Home / Great Deals / Amazon Deals / The Boxtrolls Blu-ray + DVD Just $8.99! Head over to Amazon and get the The Boxtrolls Blu-ray + DVD for just $8.99 (reg. $34.98)! Shipping will be FREE with Amazon Prime or an order of $35 or more. From the creators of Coraline and ParaNorman comes a magical family adventure about heroes in all shapes and sizes: The Boxtrolls. 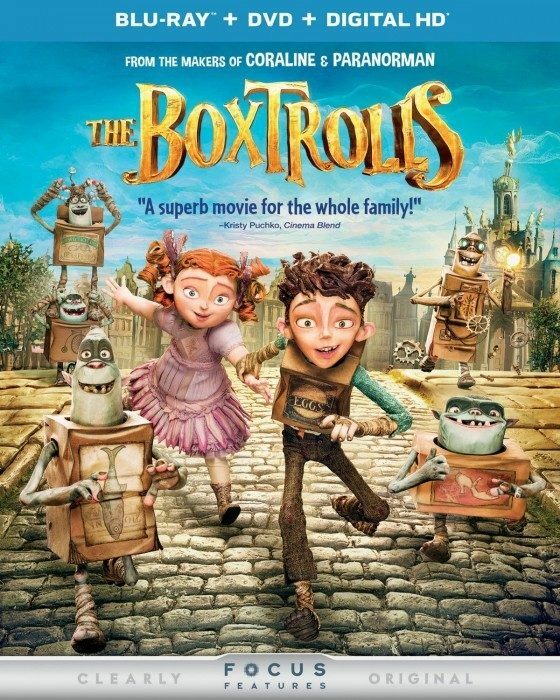 Quirky, mischievous and good-hearted, these box-wearing creatures have lovingly raised a human boy named “Eggs” (voiced by Isaac Hempstead Wright) in a charming cavern below the bustling streets of Cheesebridge. But when evil Archibald Snatcher (voiced by Ben Kingsley) decides to capture the lovable misfits, it’s up to Eggs and his feisty young friend, Winnie (voiced by Elle Fanning,) to save the Boxtrolls.